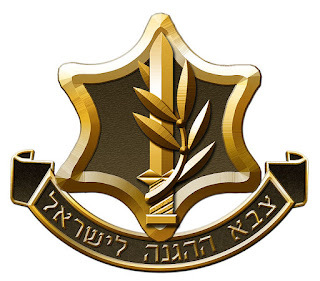 IDF Col. Ala Abu Rukon has been named as the new military secretary to President Reuven Rivlin, his office said Thursday. Abu Rukon will be promoted to the rank of brigadier-general with the appointment, Rivlin's office said. The decision was made by Rivlin, Benjamin Netanyahu, who is defense minister as well as prime minister, and IDF Chief of Staff Aviv Kochavi. The 47-year-old officer, from the Druze town of Isfiya, currently serves as the IDF military attache to China. He has been a member of the armed forces for 25 years, and has held positions in the Paratroops Brigade and the Intelligence Branch. Rivlin congratulated Abu Rukon on his appointment, calling him "an impressive and professional addition to (my) team of advisers." I couldn't find a photo of Ala Abu Rukon, but he isn't the first Druze - or even the first Abu Rukon! - to reach heights in the IDF. Last year Major General Kamil Abu Rukon was appointed as the new head of the IDF's COGAT. It is ironic that this happens the day after Netanyahu is elected to a new term as prime minister - to lots of stories about how he is a racist. And doubly ironic that this happens during "Israeli Apartheid Week" month.